Named after Raja Ajay Pal who founded the city in the 7th Century AD, Ajmer was the seat of power of Chauhan Dynasty's mist illustrious & legendry ring Prithviraj Chouhan who ruled Delhi & a major part of north India controlling it from Ajmer. At the foot of the barran Daragarh mountain, is situated Indias most important Pilgrimage centre for people of all faiths. 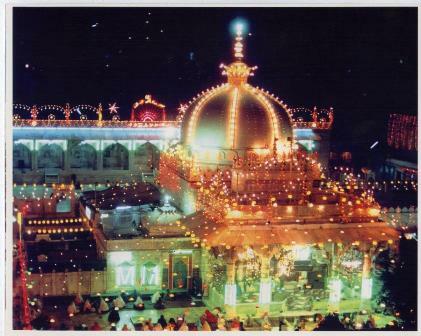 The splended Tomb of Khwaja Moinuddin Ehishty, called Kwaja Sharif, is next to Meccah Madina in the world for muslims. A masterpiece of Indo-Islamic architecture, with ornate calligraphic inscriptions originally a Sanskrit college, within a temple, converted to a mosque in 1193 A.D. by the invador Mohd. Ghauri in just 2 and half days. Hence the name. Once the royal residence of Akbar the Great, the museum has a rich repository of Mughal and Rajput Armour and beautiful sculptures. The red, sandstone temple of Nasiyan is very old. Inside are housed beautiful wooden and stone models of the Tirathankars of Jain Dharma, depicting the entire lives and history of the religion. 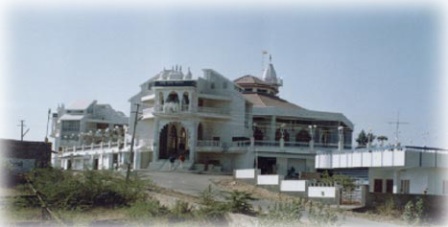 An unconventionally built beautiful temple of SaiBaba of Shirdi. The temple has a completely serene and religious ambience. 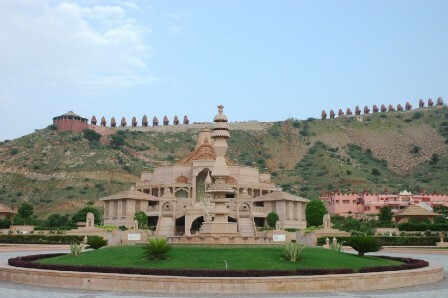 A garden, atop a hill on way to the Taragarh Top offers a birds eye view of the city. 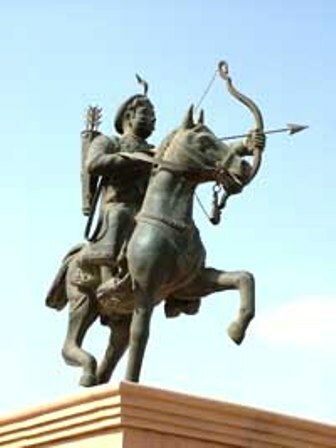 It has a bronze statue of Raja Prithviraj on horse back. One of the most sanctimonious pilgrimages for the Hindus is the holy town of Pushkar. 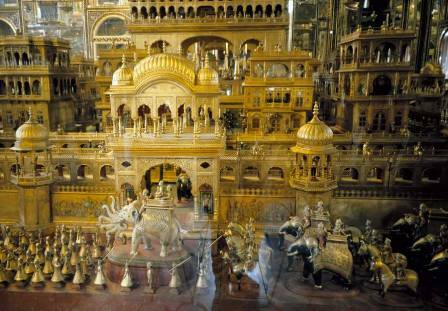 It is considered the king of Pilgrimages. 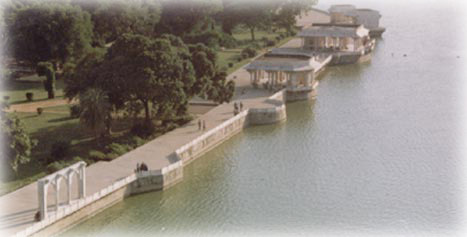 The lake is believed to have been created by Lord Brahma, the creator himself. Ergo, it has the only "Brahma" temple in the world. The whole town is fragrant with a religious forever in the evening, with the chanting of mantras, the ringing of temple bells and the blowing of conch shells everywhere imparting a deeply meditative and religious ambience. 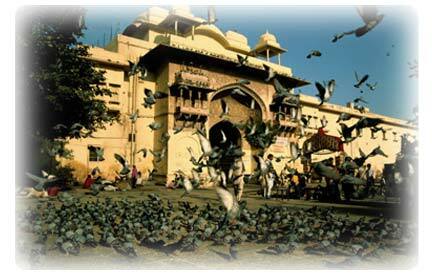 Pushkar is the venue of the biggest carnal and animal fare in the world held winter, it is a mela not worth missing. 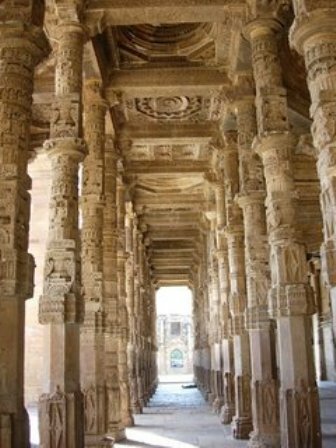 Master piece of Jain architecture.